Spotwords is a challenging word game that brings unique challenges to your vocabulary skills. Game play is very simple. As letters fall from top of the grid, your goal is to make as many words as you can by swiping your finger across the screen. 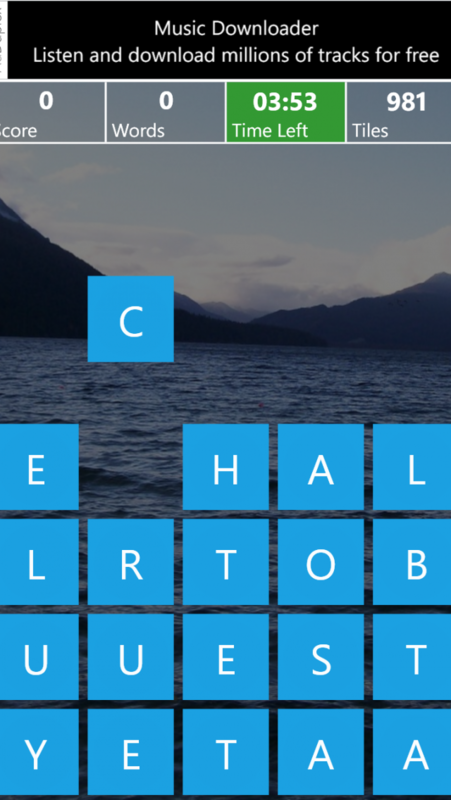 As you swipe, the letters that form a valid word are removed automatically creating room for more letters to fall. There are two modes in this game. Ride: A unique game every day and scores in this mode are calculated daily. 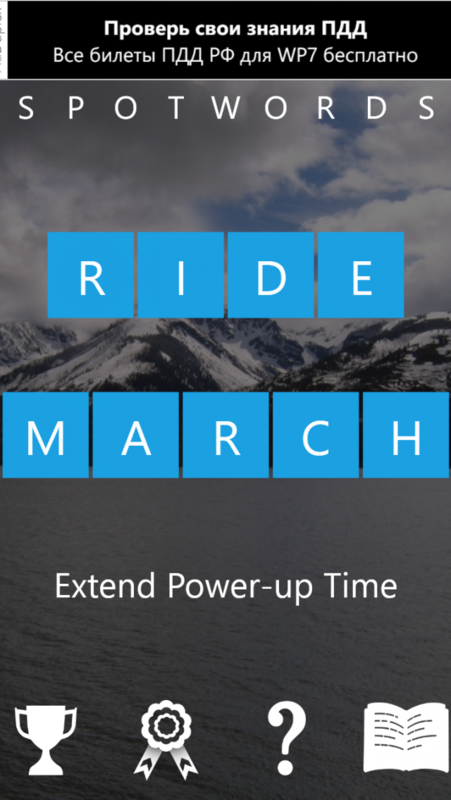 March: A multi-level game with varying degree of difficulty. Much relaxed at the beginning but becomes challenging as you advance levels. Only higest scores are stored. Power-up help boost your score. They are enabled each time 100 points are scored in non-powerup mode. The default power-up time lasts for 15 seconds. You can increase the power-up time by 15 seconds either by scoring 150 points in power-up mode or by purchasing the addon. Complete a game and see how you measure up against your friends and the world with online high scores.